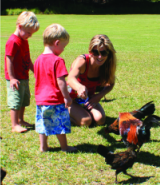 Have you ever wanted to raise and keep backyard chickens? In Mommy, Me & My Chickens, you'll get an inside look through a child's eyes of what it's like to raise and care for chickens in an urban environment. Plus, you'll learn some practical tips and information along the way, should you decide to start your own backyard flock. With more families opting for organic produce, greener and more sustainable lifestyle choices, there's never been a better time to own backyard chickens! Would you like your copy signed by the author for no additional charge? Simply make a request through our online contact form after you've purchased your book. "What we love about Mommy, Me and My Chickens is the level of detail! Kids will truly learn what to egg-spect with their own flock. Great for ages 3-8. " 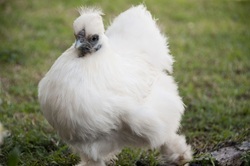 --My Pet Chicken. 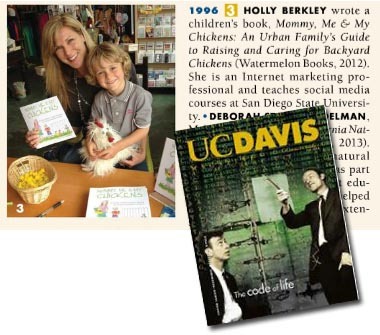 Meet some of the backyard chickens that inspired Holly Berkley's Children book!